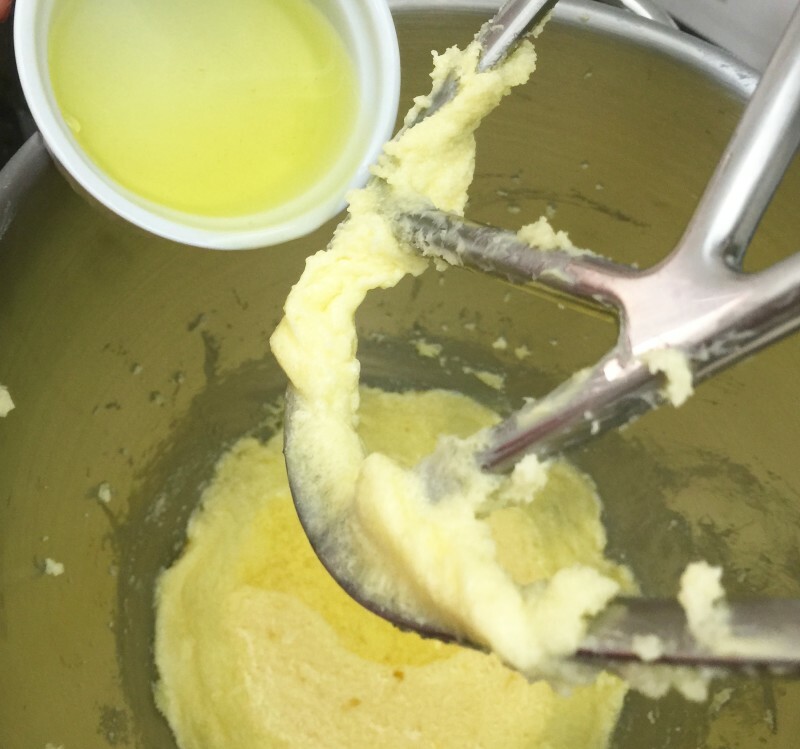 Lemon is one ingredient that when we like it, we really love it. They’re just superb in these homemade zesty lemon cupcakes. Freshly squeezed lemon juice and grated lemon zest add zing to these light and delicate cupcakes. They give each bite such a refreshing zest of citrus flavour. They have such an incredible soft texture and the tangy cream cheese frosting on the top is to die for. The zesty lemon together with the sweet tangy frosting compliment each other so perfectly. What’s more, these delicious and gorgeous cupcakes are so easy to make! As usual, enjoy! Freshly squeezed lemon juice and grated lemon zest add zing to these light and delicate cupcakes. They have such an incredible soft texture and the tangy cream cheese frosting on the top is to die for! 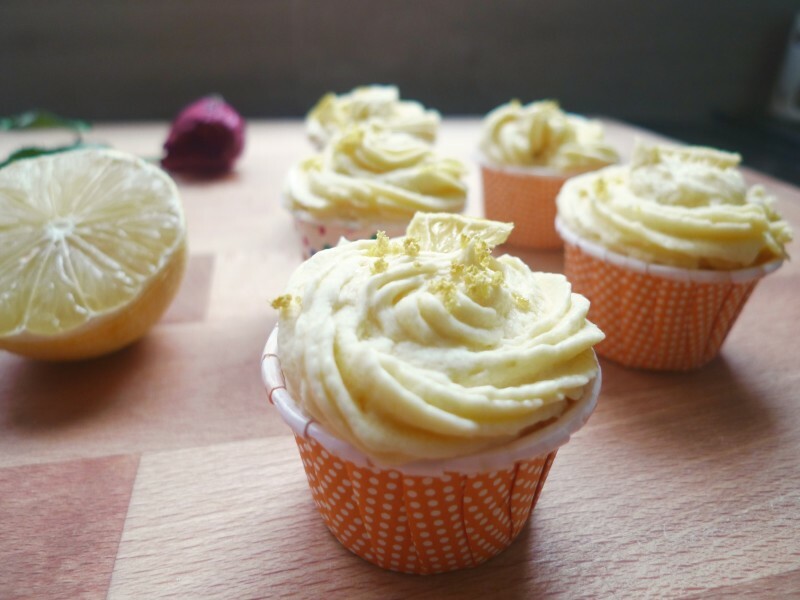 To make these zingy lemon cupcakes, we need to have fresh lemons. 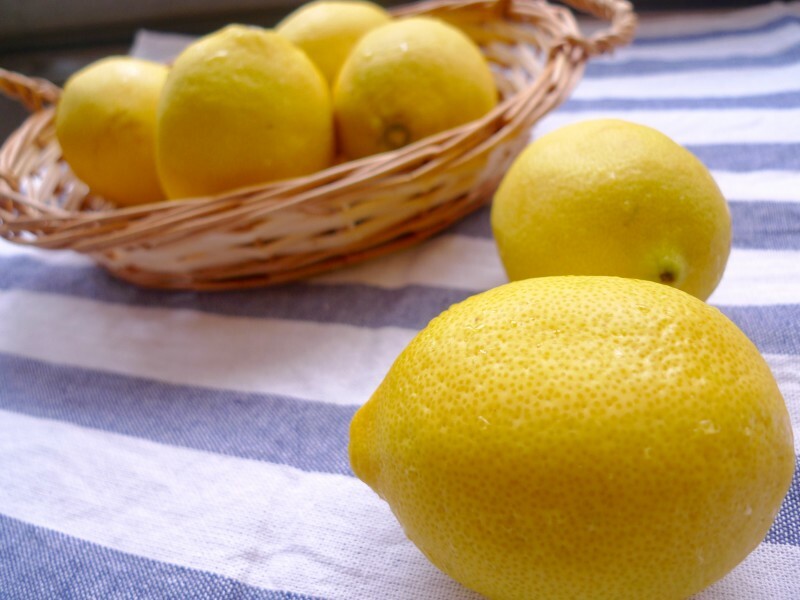 Grate the skins for the lemon zest and squeeze the lemon for fresh lemon juice. 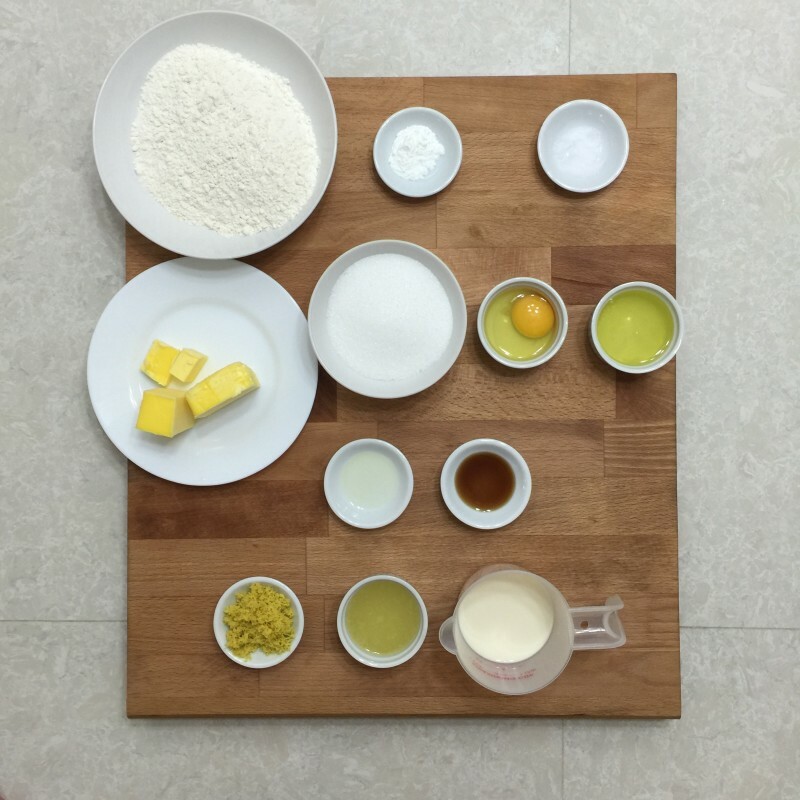 Prepare all ingredients needed to make these zingy lemon cupcakes. 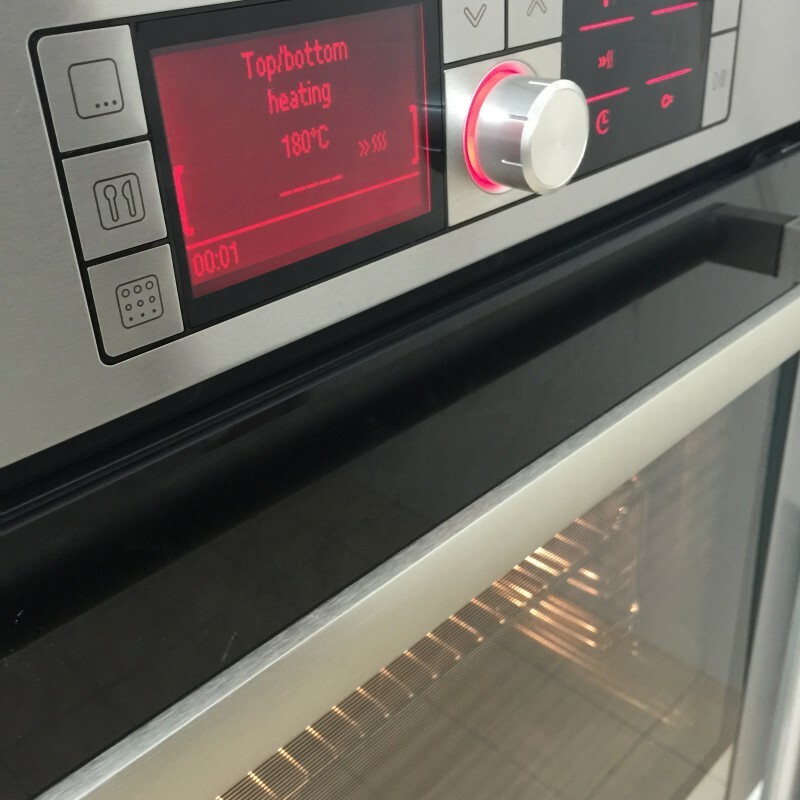 Next, preheat oven to 180 degree C ( 350 degree F ). 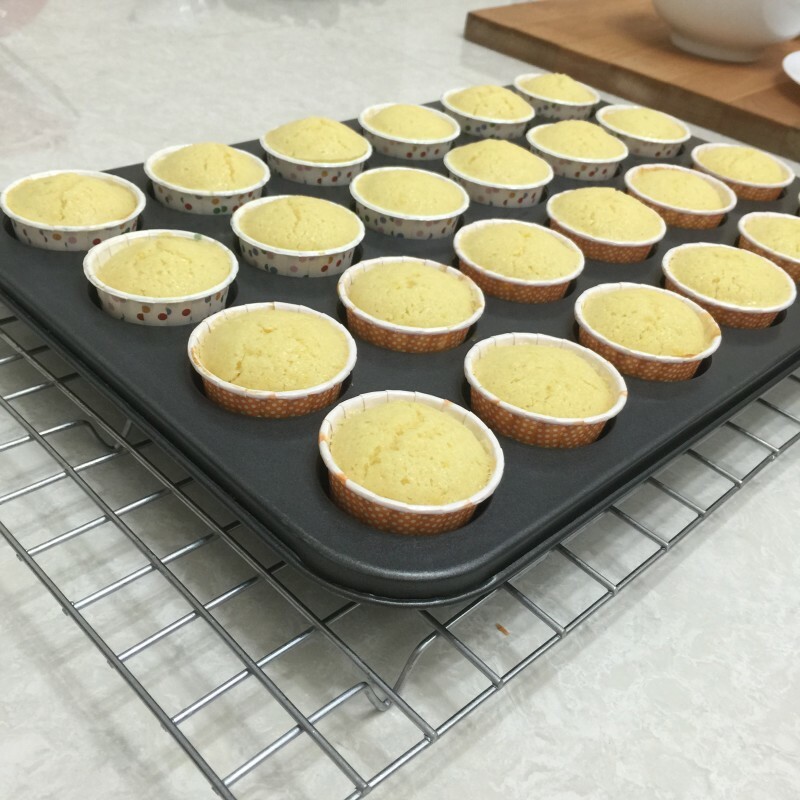 Line a 12 or 24 cupcake pan with cupcake liners. 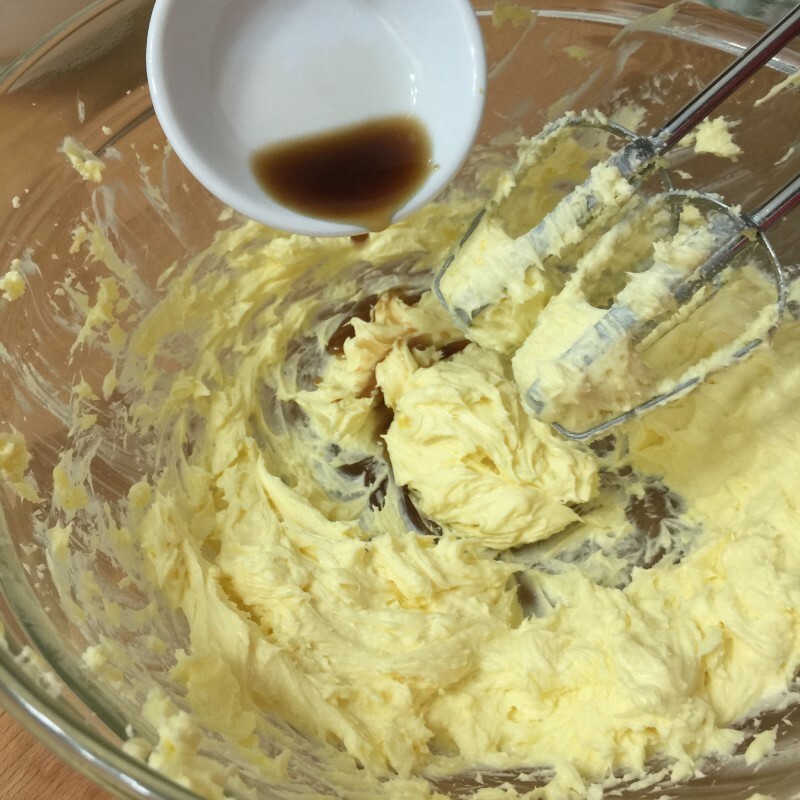 Have ready an ice-cream scoop to spoon the batter into the liners. 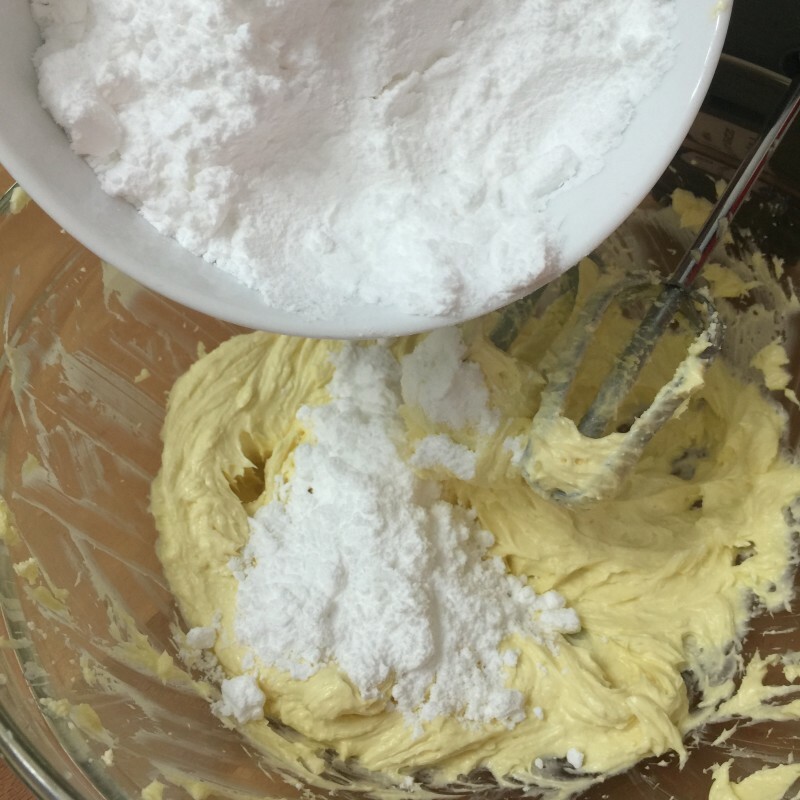 In a small mixing bowl, add sifted all-purpose flour, baking powder and salt. Mix everything together and set aside. 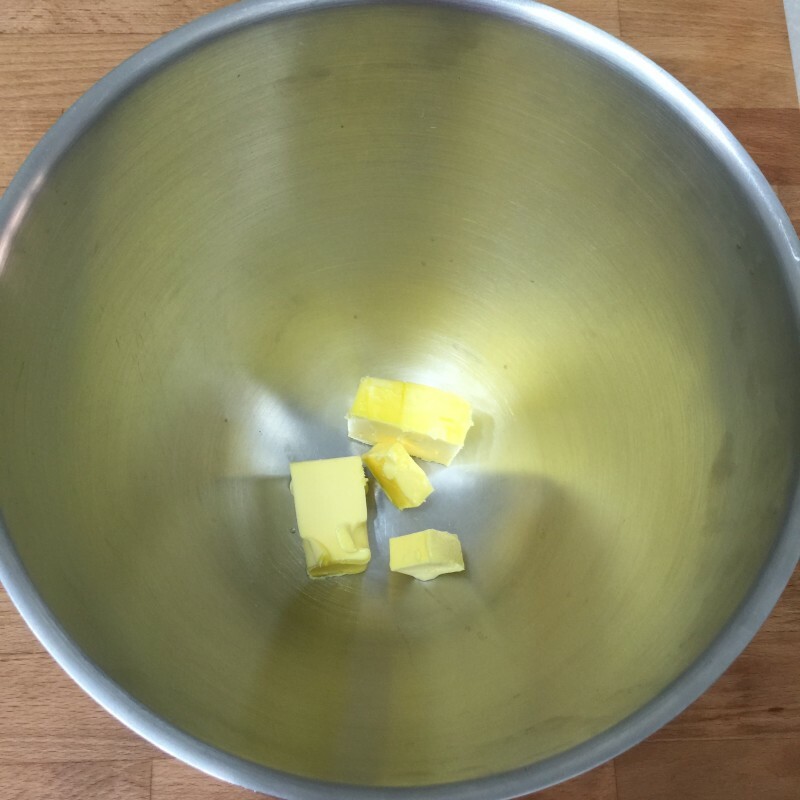 Beat butter and sugar using medium speed until light and fluffy, about 3 minutes. Scape down the sides and bottom of bowl occasionally throughout entire mixing process. 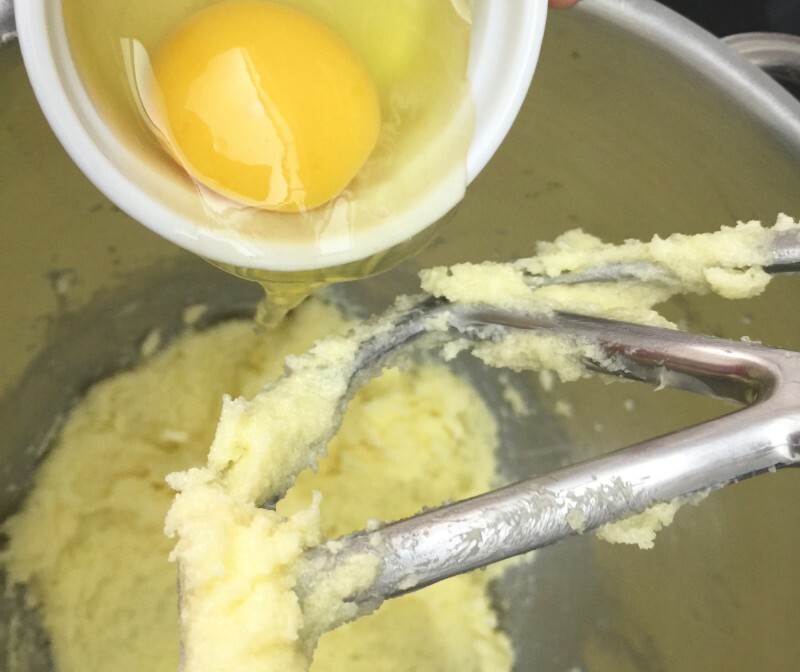 Then beat in the egg until well mixed with the batter. 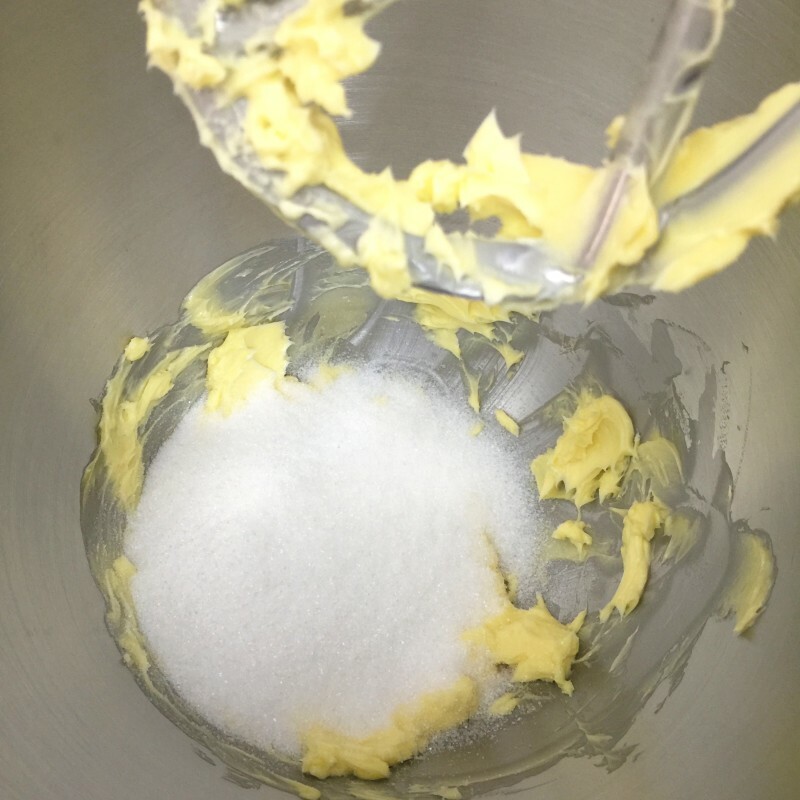 Next, add the egg whites, one at a time and continue mixing until the egg whites is well corporated. And the freshly grated lemon zest. Mix until everything is well combined. 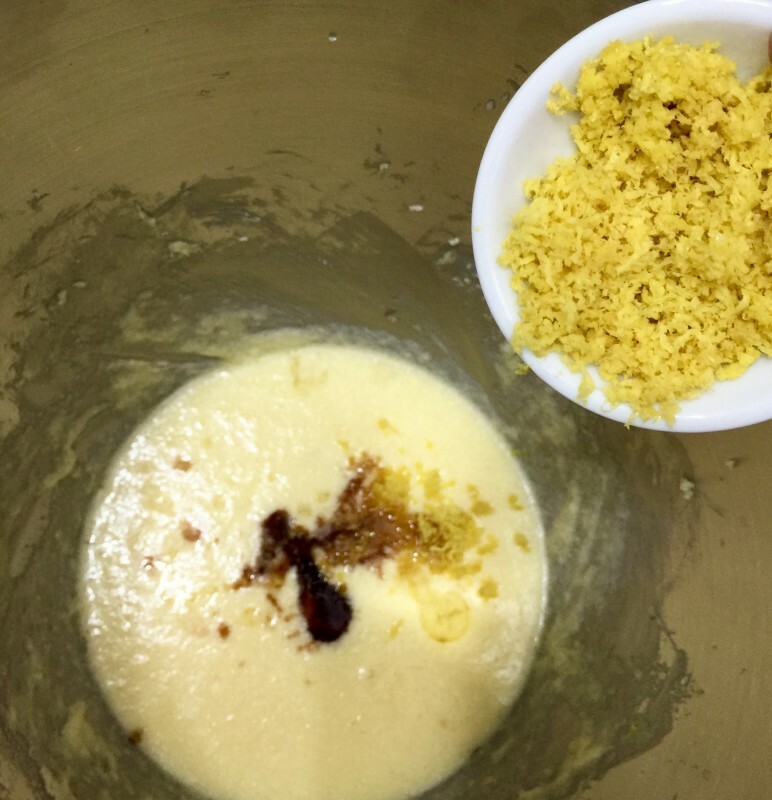 Remove mixing bowl from electric mixer. 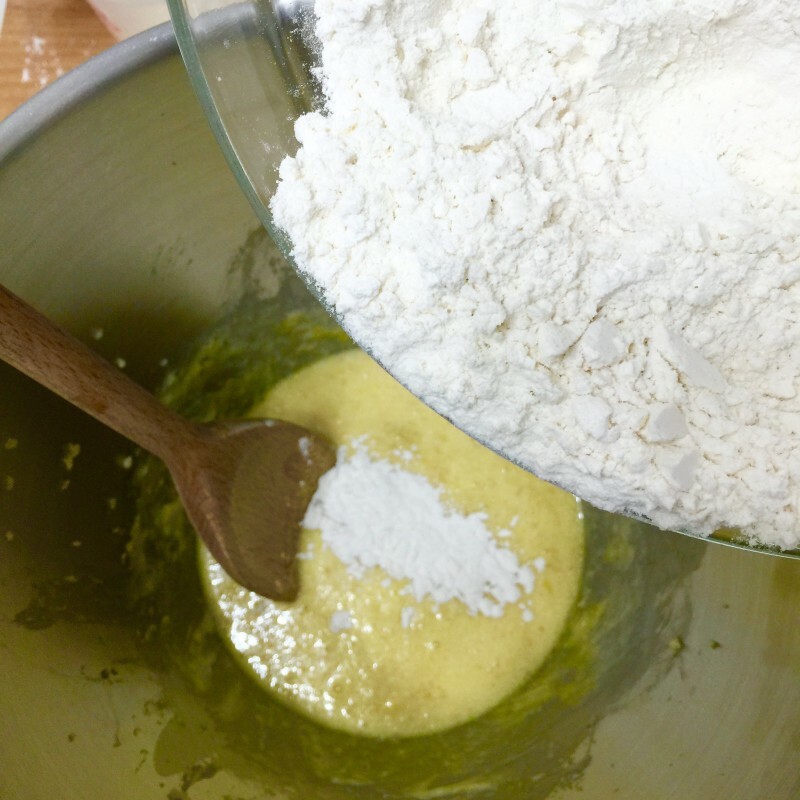 Add half of the flour mixture. 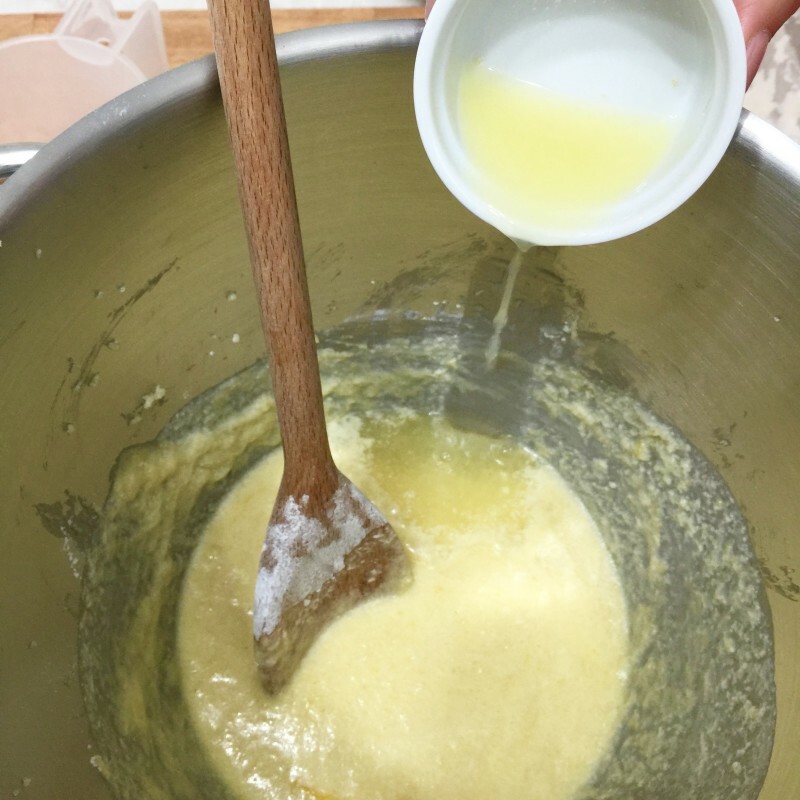 Using a long wooden spoon, mix the flour (in the figure of S) into the batter. And the freshly squeezed lemon juice. 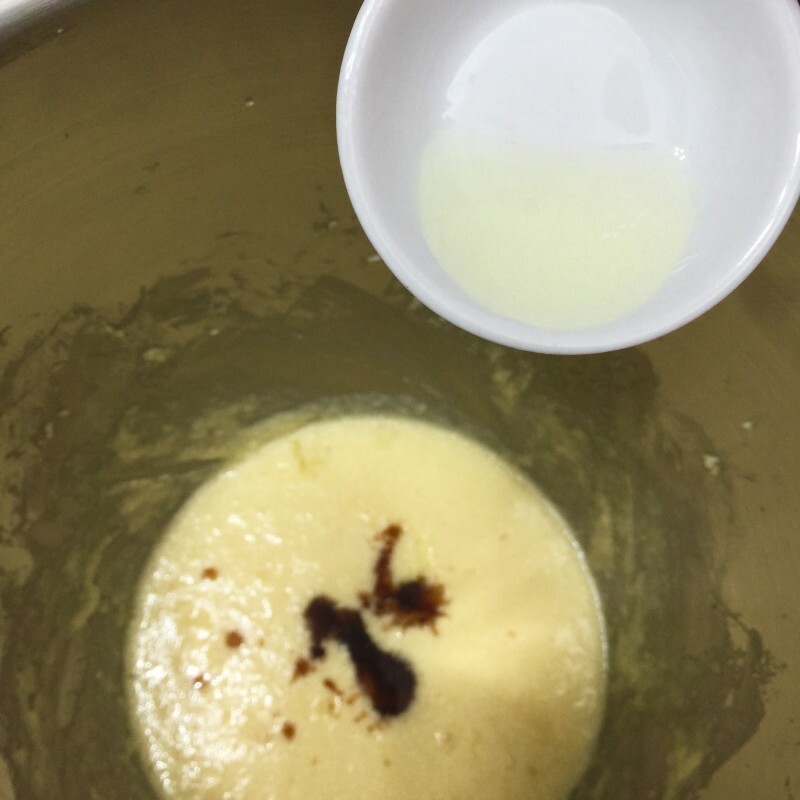 Add in the remaining of the flour mixture and continue mixing with the wooden spoon until well combined. 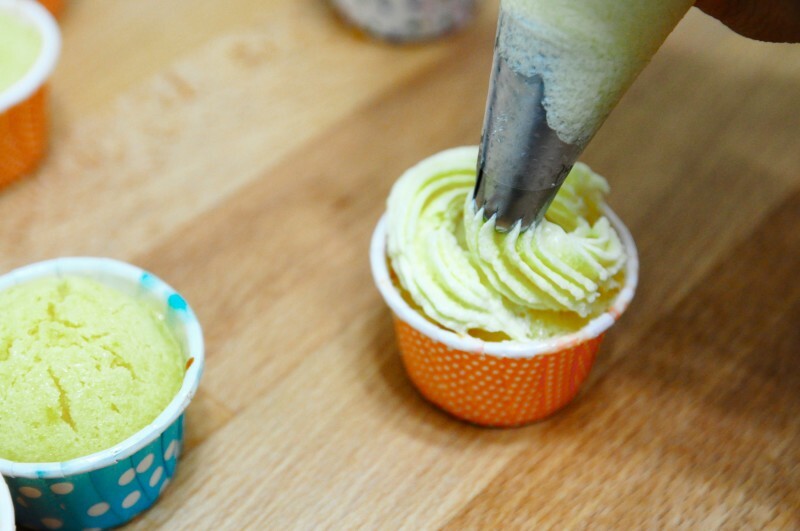 Using an ice-cream scoop, spoon the batter 3/4 full into the cupcake liners. 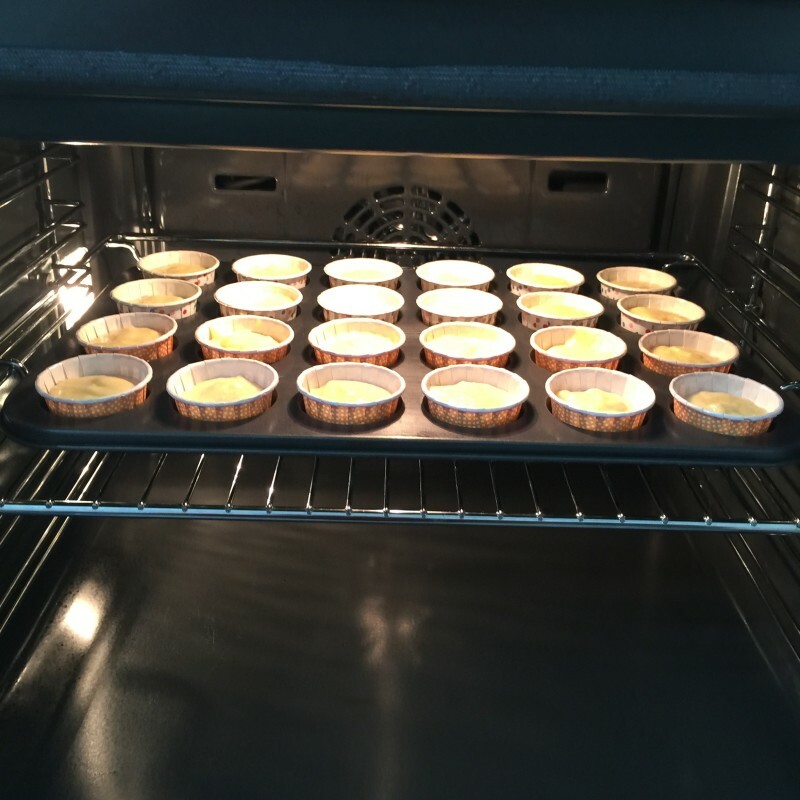 Put the cupcake pan into the preheated oven. 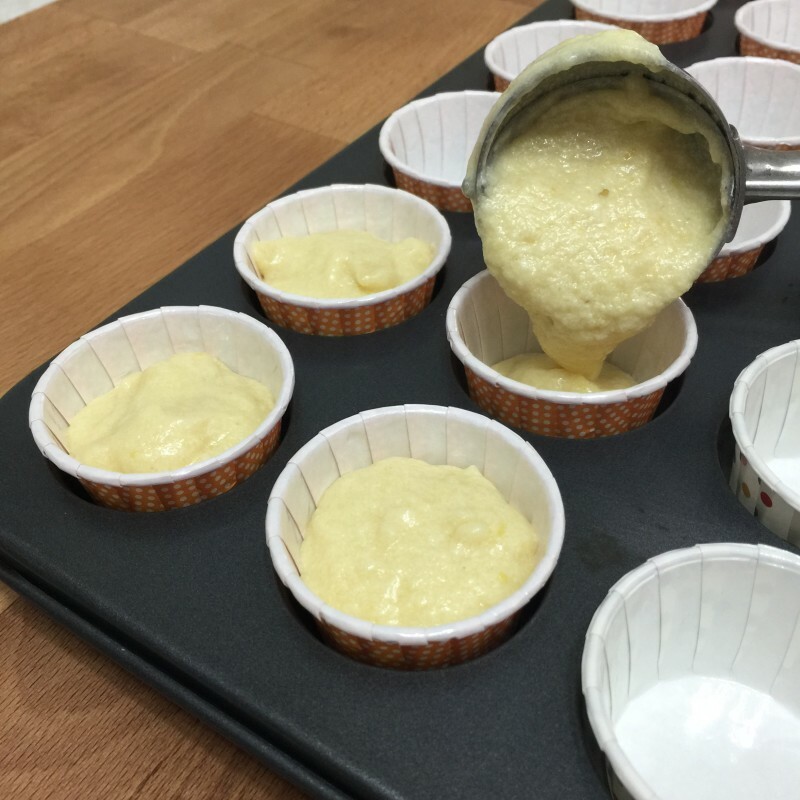 Bake for 18 minutes or until the tops set and a toothpick inserted in centre of cupcake comes out clean. 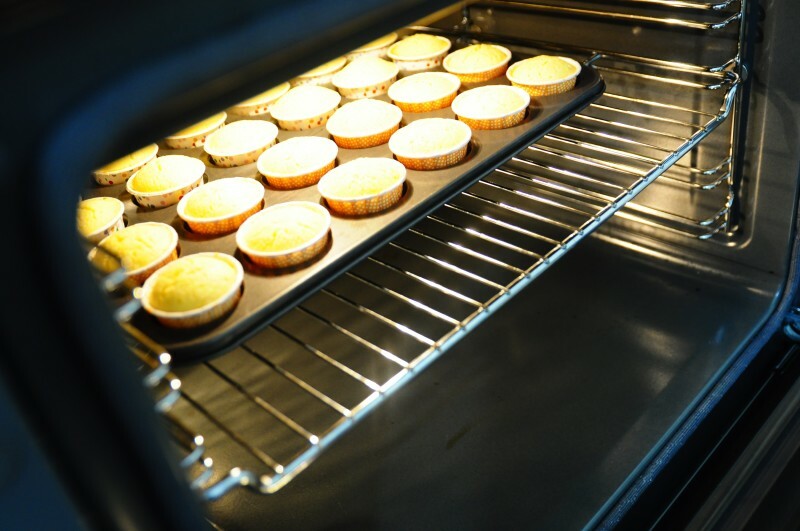 When baked, removed cupcake pan to cool on wire rack. Then transfer cupcakes to cool completely on wire rack before frosting. Next prepare ingredients to make the frosting. 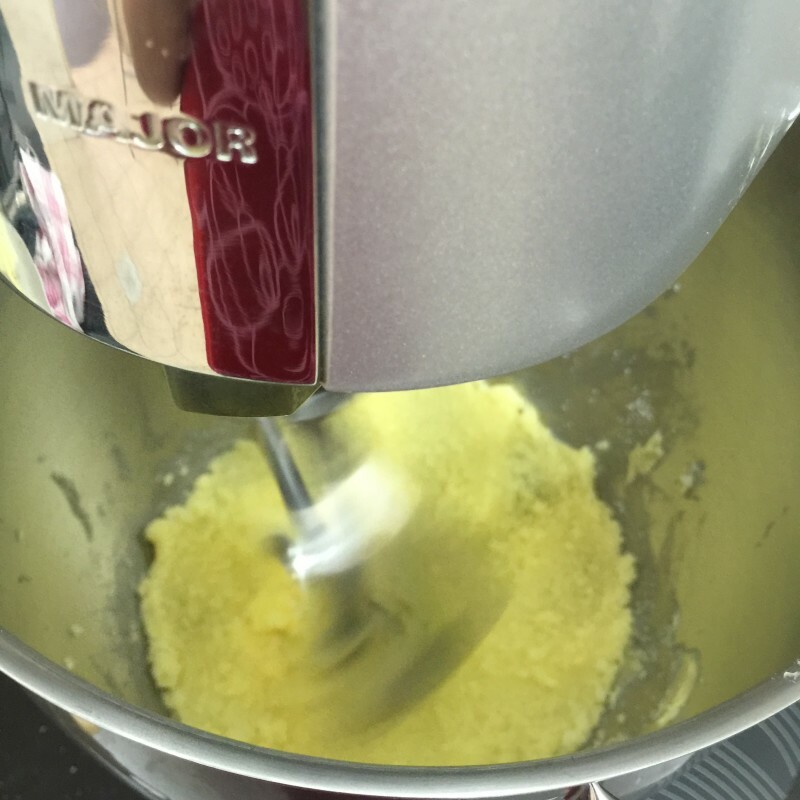 Using an electric mixer, beat the butter, cream cheese and lemon zest on low speed for about 1 minute. 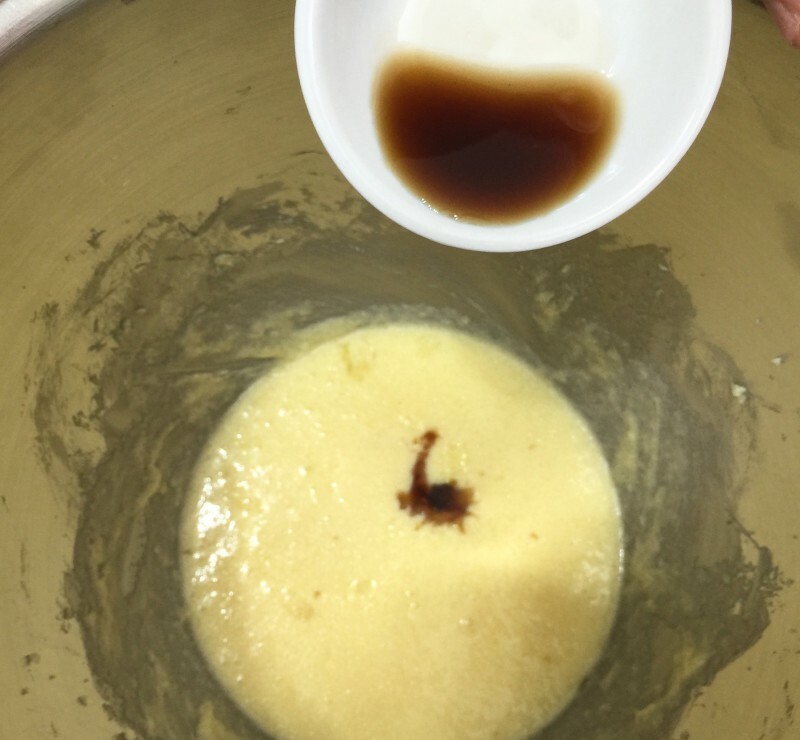 Then add in vanilla extract and beat until smooth, another 1 minute. Gradually add in the icing sugar. Beat on medium speed for another 1 minute. 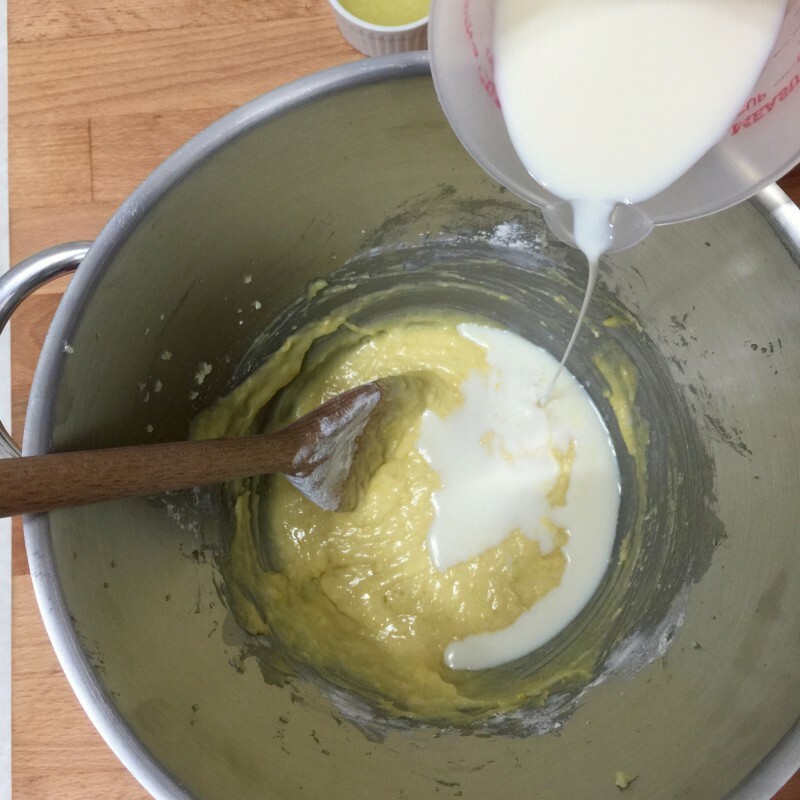 Transfer the cream cheese frosting into a piping bag with a frosting tip. Frost the cooled cupcakes. And we're done! 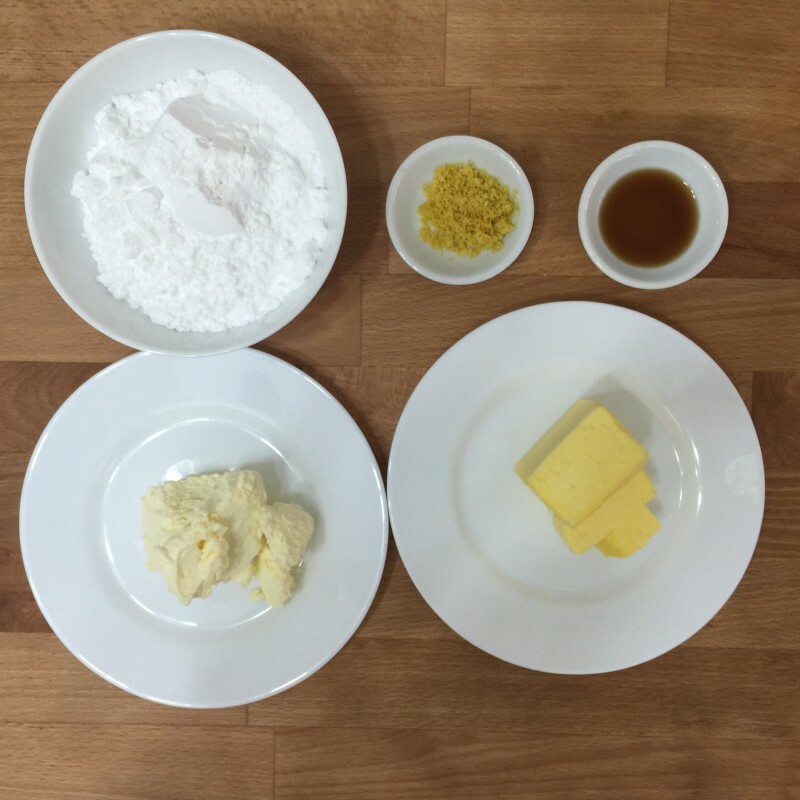 Garnish the frosted lemon cupcakes with a cut of lemon and lemon zest. 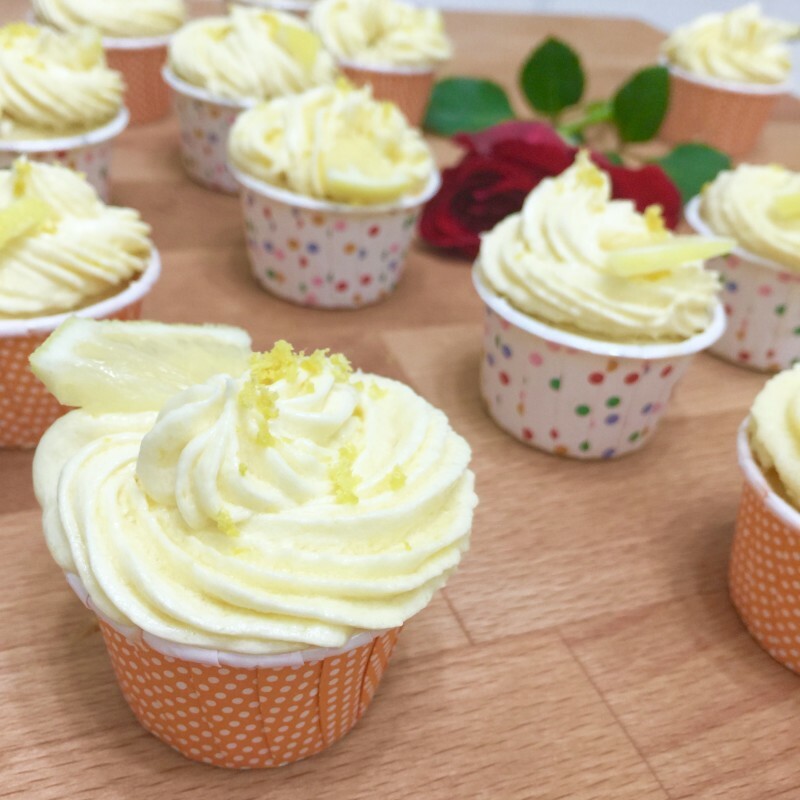 These beautifully delicious cupcakes are any lemon lover Spring dream cupcakes! 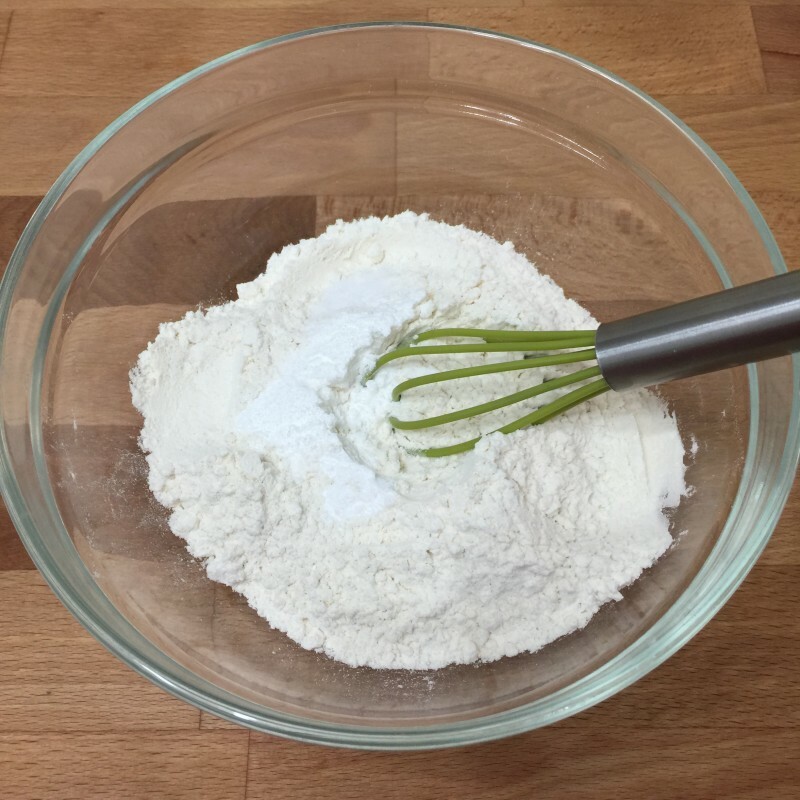 It's best to fold in the flour with a wooden spoon when mixing with the batter instead of using the electric mixer. 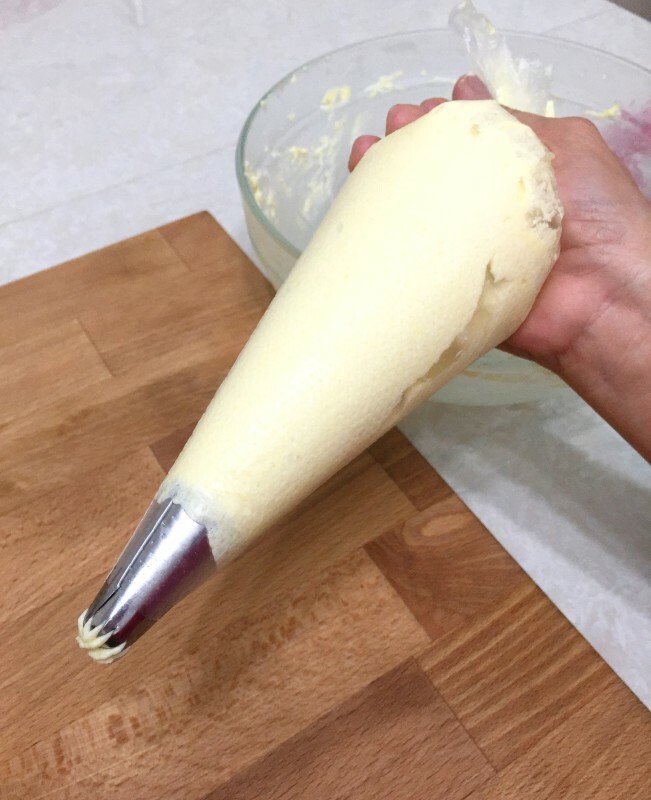 This is to prevent over-mixing. 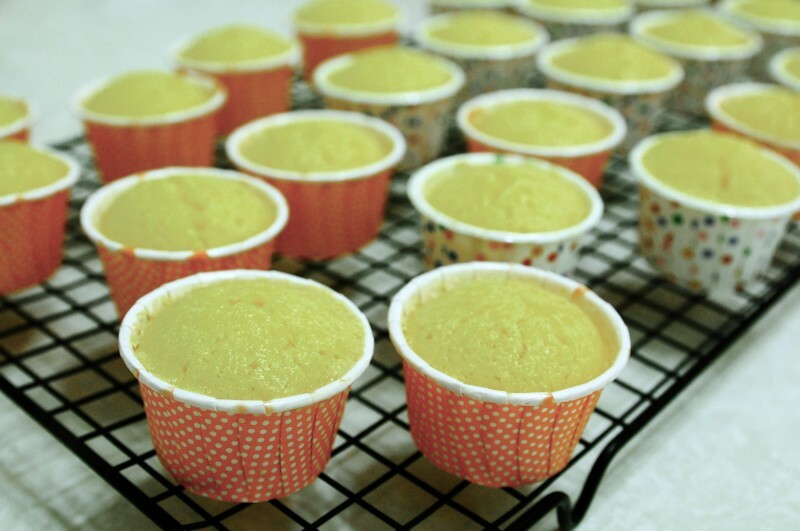 Keep the frosted lemon cupcakes refrigerated using needed.